So you’re heading to SxSW and there’s no doubt you’ve heard all about the great BBQ in Austin or how you should try the Migas at Maudie’s (psst.. their migas are overrated), but did you know Austin has a few gas station taquerias? Plus there are a couple additional stops for tacos if you are driving from Dallas. Granted you probably don’t need to buy food in Austin with so much free food available at every event, including our AT&T event Saturday afternoon. If you do need a cheap, but delicious break from the free food here is a list to help a craving for tacos. Casa Grande at Spring Food Mart: Currently my best gas station taco find in Austin. The place is a bit nondescript with a non-branded gas station and the taqueria is crowded into a small community shopping mart. There are a couple of benches inside and the beef fajita tacos are excellent. I found the pork carnitas taco pretty decent too, but skip the pastor. 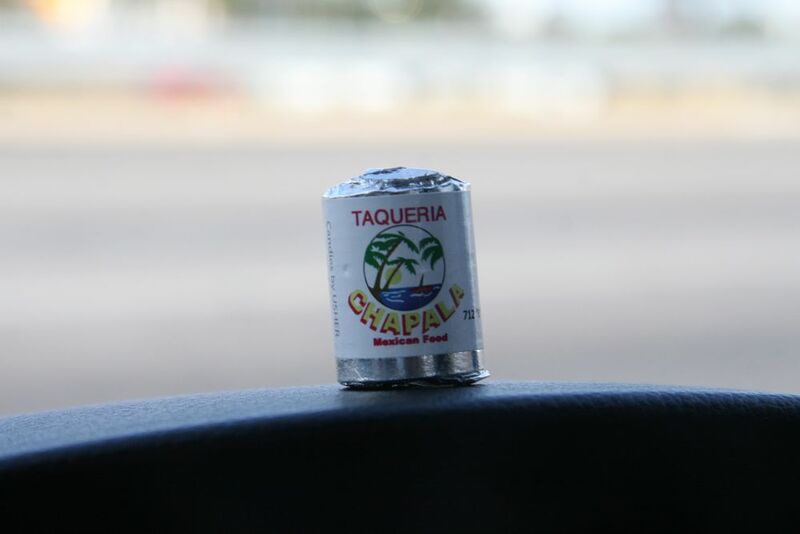 Taqueria Chapala Jalisco: I have yet to do a review of this full service Mexican restaurant attached to a Texaco station just north of Austin in Round Rock. If you decided to book your hotel for SxSW last week, no doubt you’re probably staying in Round Rock and this Texaco station is a good place to refuel your car and your stomach. Their salsa verde is excellent and they have a special barbacoa taco that is definitely worth trying. The pastor taco is also a good choice. Tierra Linda Taqueria: I list this one because it gets some decent Yelp reviews and may come up on your radar when looking for ‘street tacos’ in Austin. This full Mexican grocery store with a taqueria inside a Shell station is still the worst gas station taco experience I’ve had in over 30 reviews last year. I’d avoid it, but perhaps I came on the wrong day. So try it if you want to take some risk. Who knows I could easily be wrong. It won’t be the first time or the last. Troy Taqueria: If you like your tacos loaded with meat, this is your place. The beef taco is the stand-out choice, but the pastor tacos are worth getting too. Troy Taqueria is right off the I-35 freeway simply take the “Troy Exit.” It’s easy on and off and you’ll be on your way to Austin or back to Dallas in no time and with some great tacos to enjoy. Super Taco: Depending on where you are traveling from or if you decide to take a different route from Dallas to Austin, you may run into a Shell Station in Marble Falls, TX off US Highway 281. If you do pass by, be sure to get some beef fajita tacos on homemade flour tortillas. 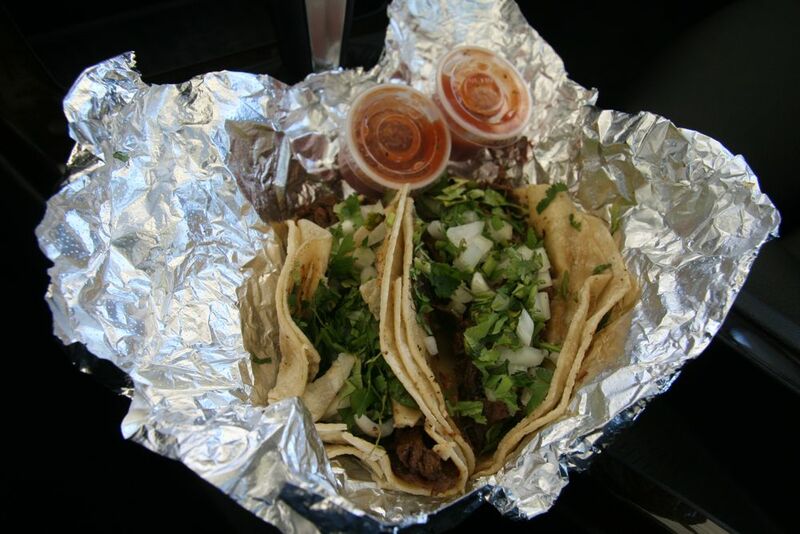 These are the meatiest, tastiest tacos I’ve had at a gas station – giant strips of flavorful meat. Do I need tickets to get into this AT&T event Saturday afternoon? Austin is only like a six hour drive from Mission. I likely can hit some nice places for a very good Gas Station Taco on the way up! Andy, I’ll send you an email. You probably did go to Tierra Linde on the wrong day. I live a few blocks from there, and those are some of the best tacos I’ve had in Austin. They’re cheap, fully loaded, and delicious. The Al Pastor tacos are to die for. Two of them is a full meal. Their salsa is also excellent!